Cooler temperatures means it’s time to get cozy and comfortable. 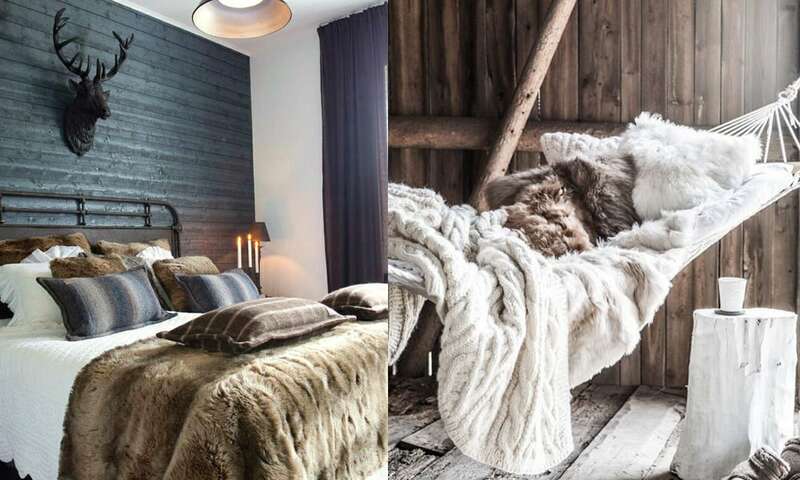 Faux fur blankets draped over the couch, your favorite chair, or bed are a must. Not only is this the perfect way to add texture to your space, but they can also make a room feel luxurious and welcoming. Real fur options are fabulous, but often pricey. Faux fur is washing machine friendly and affordable. Here are some awesome options to get you started. 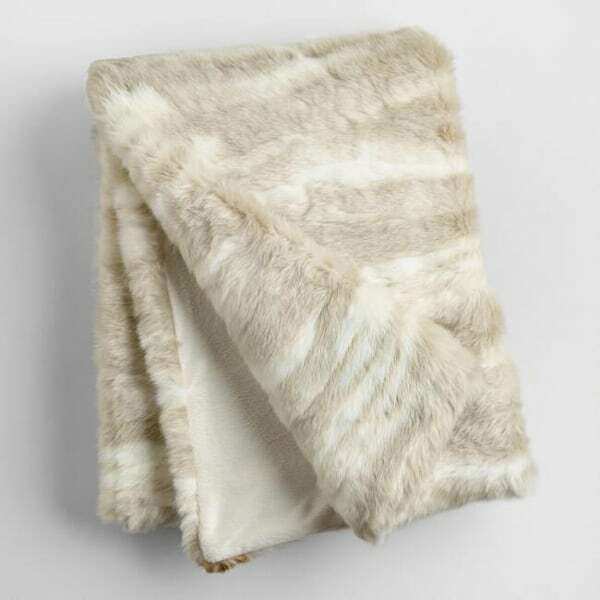 Ivory Faux Fur Throw, starting at $59.99; worldmarket.com. 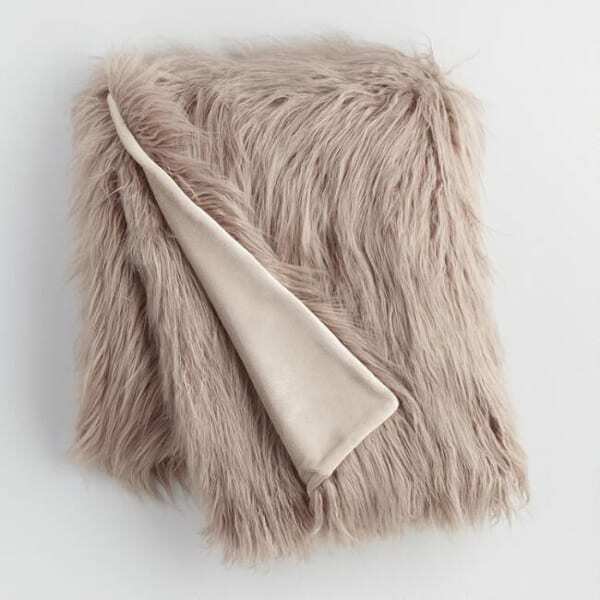 Mocha Mongolian Faux Fur Throw, $69.99; worldmarket.com. 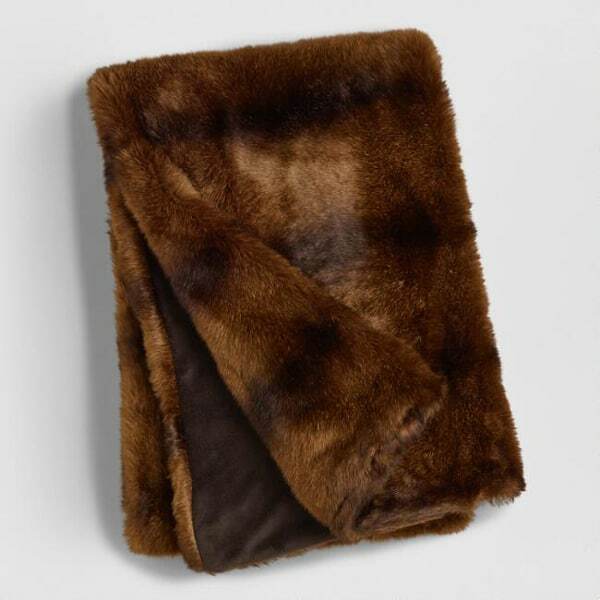 Chocolate Faux Fur Throw, starting at $59.99; worldmarket.com. 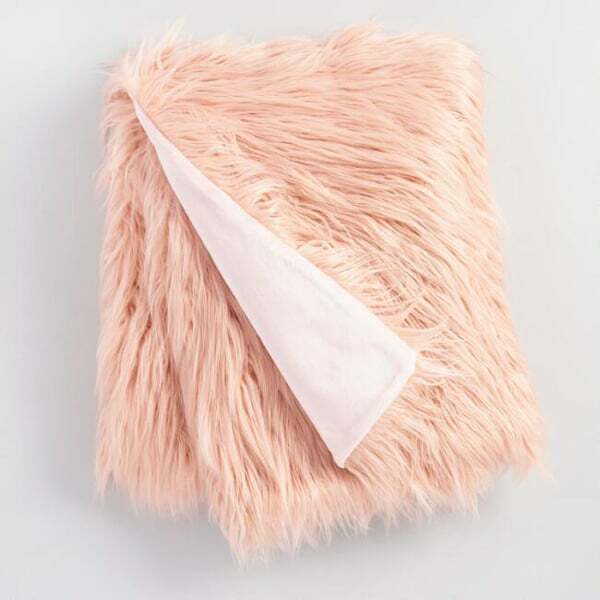 Blush Mongolian Faux Fur Throw, $69.99; worldmarket.com. 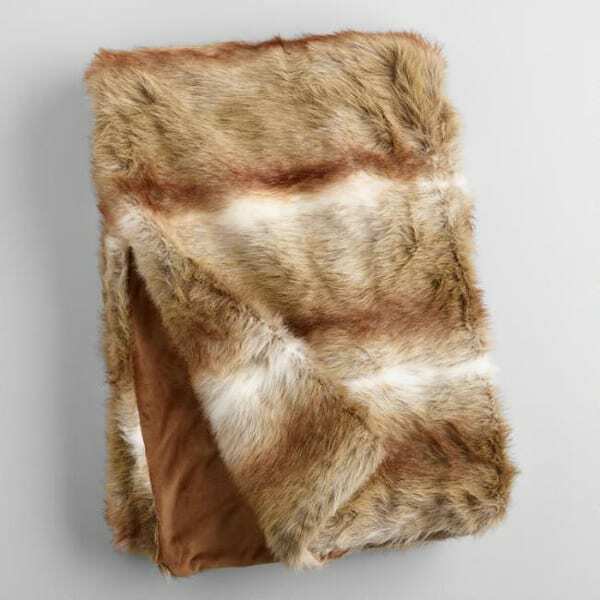 Brown Faux Fur Throw, starting at $59.99; world market.com. Which blanket is your favorite?